‘Fess up. You always wanted to be a data scientist. You know, the expert analyst, who slogs through the oceans of structured and unstructured data that every company has. Someone, who uses information to support their organization’s most important business initiatives. Becoming a BI hero appeals to you. And, why not? This type of information derring-do is badly needed. Increasingly, companies have an abundance of data but too little insight. The answer? Getting the right mix of software capabilities and usability that provides the insight that you crave. 1. Choose powerful, easy to use tools designed for business users. You might want to be a data scientist. But that’s no reason to use highly technical tools. 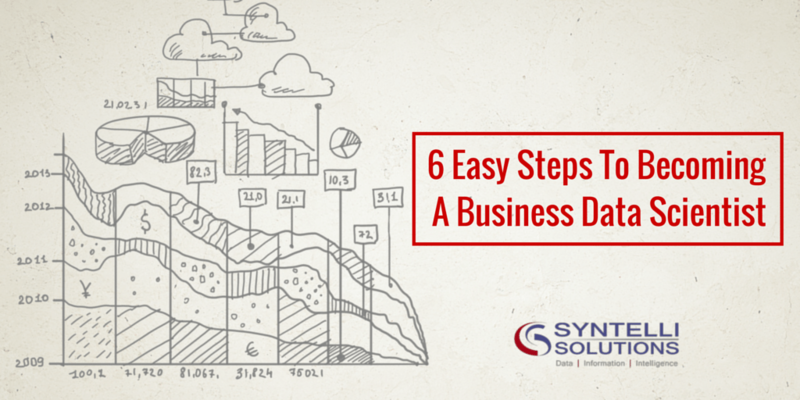 Business users can get insight by searching data stores with a series of business questions. No computer language skills required. 2. Make data discovery quick and easy. The move is on from report-based BI solutions to self-service, querying platforms. Modern data analytics software enables business users to find their own answers to business questions. Single-point data repositories and in-memory databases speed up data discovery tasks by enabling transactions and analytic processing to reside at the same location. 3. Choose tools that can do the heavy lifting. Data-driven solutions use algorithmic data mining, which provides data science expertise and deep understanding of business problems. This approach makes it easy to search, analyze and visualize the largest chunks of Big Data. 4. Combine event stream and application data. Advanced analytics solutions use event-driven analytics to identify event patterns and their effects on business trends and key performance indicators. Savvy companies use this complex event processing to track and act on this information. 5. Visualize data to make information easy to understand and use. Visual interfaces make even sophisticated data analytics accessible to business users. Users engage with these tools by asking a series of questions of prepared data sets. With a few clicks, they get immediate results in an easy-to-use graphic form. 6. Minimize training time and costs. If you are concerned about time-consuming, expensive training to provide specialized knowledge and skills, don’t be. Modern analytics solutions use a visual, intuitive approach that reduces the need for specialized knowledge and training. Become a business data scientist! Contact Syntelli today to see how we can help you and your organization become phenomenal data scientists in no time!